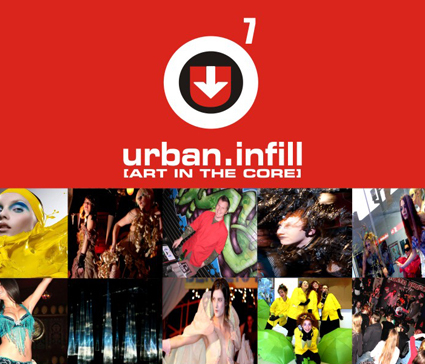 Re-discover your Waterfront District at Urban Infill-Art in the Core, a Downtown Wide Art Exhibition featuring 350 Regional, National and International artists at 15 downtown locations. A multi-sensory experience of art and unparalleled live performances enjoyed by over 1,250 last year! Performative Tour Guides will show you the way! Start at DefSup and pick up your Art Map, see exhibitions by critically acclaimed National and International artists, LU Visual Artists, Con College Film & Multimedia, Definitely Superior Art Gallery Members, Die Active Art Collective, and Bay Street Film Festival. Participating Commercial spaces include the Ahnisnabae Art Gallery, Local Colour Gallery, Gallery 33, The Painted Turtle, Chenier Fine Arts, Locomotion, Mars.Clothing, Perfect Fit Lingerie, The Loop Clothing, AND 3 empty retail spaces will be converted into new arts/culture spaces @ the former RBC Bank, Tomlinson Bldg & more! – Performances by belly dancing by Dahab of World Dance Studio, drag queen Fabulous Portia + drag king Will Ramya, listening art tour by Zoe Gordon & more! – Live music by singer-songwriter Amanda Soderholm, bluegrass by Vicker’s Creek, jazz by Robin Ranger & friends! Exhibitions also run Mar. 31st until April 2nd, 12-6pm. Catered by Sweet Pea Home Catering & Restaurant. Sponsored by The Waterfront District BIA.